The cache is NOT at the published coordinates so please don't go climbing all over it. Visit the published coordinates which is the village sign and answer a question to find the coordinates of the cache. Benwick is a village and civil parish in the Fenland district of Cambridgeshire, England. It is approximately 15 miles (24 km) from Peterborough and 30 miles (48 km) from Cambridge. 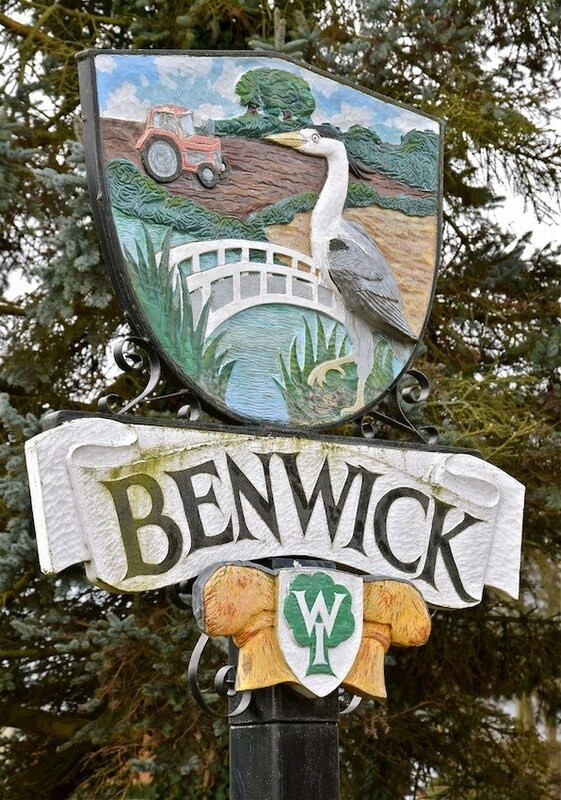 The population of Benwick was recorded as 1137 in the United Kingdom Census 2011 with 452 households. There are A cats on it. There are C golden railing caps on the side(not including corners and this is less than the front). There are C golden railing caps on the side (not including corners and this is more than the side). The cache is a drive from the village sign so please do not go climbing all over it!